The Supreme Court has directed the Ministry of External Affairs to pay a compensation of Rs 5 lakh to each of private Hajj and Umrah tour operators who came before it ruing the loss of business for non-grant of quota due to non-compliance of certain conditions despite being granted exemption from the same. Justice J Chelameswar and Justice Sanjay Kishan Kaul said the private tour operators lost their right to secure quota on a patently wrongful and “mindless” order passed for reasons which did not apply to them and for conditions which had been specifically exempted. “What could be a greater arbitrariness and illegality,” the bench remarked. While awarding the compensation, the court left it open to the ministry to realize the amount from the officials who had passed the arbitrary order. The court’s order comes in a batch of petitions raising the issue of private tour operators who are conducting the travel business for Hajj and Umrah and have been disqualified for grant of registration for the year 2016 for Hajj pilgrimage. 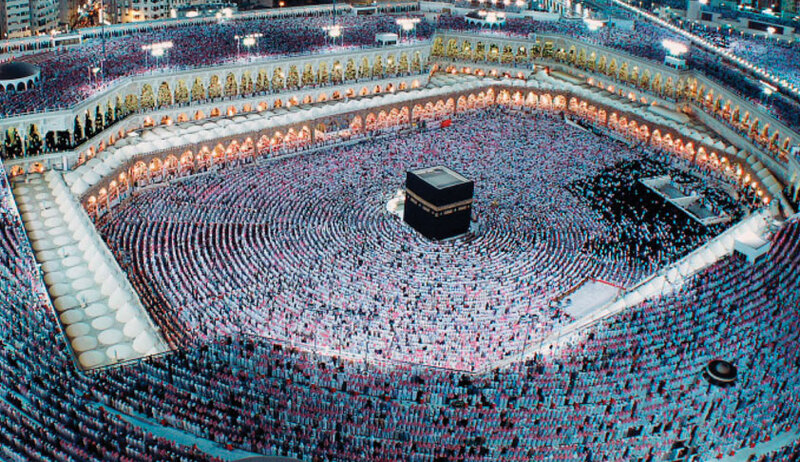 The petitioners prayed for quashing the communications dated July 27, 2016 by the Government of India rejecting their applications for registration and allocation of quota for Hajj 2016 on the ground that they have not complied with certain clauses of the policy for private tour operators as laid down by the Supreme Court. It is to be noted that the Supreme Court had in Union of India versus Rafiq Shaikh Bhaikan approved the policy presented on behalf of the government with slight modifications for Hajj 2013 to 2017. The policy was to remain valid for 5 years and was not to be questioned in any court or authority. The petitioners were all eligible to be qualified as private tour operators for the year 2015 for Hajj pilgrimage but in the process of draw of lots dated August 7, 2015 they did not get the quota. In terms of the policy, qualified private tour operators exceeded 90 and a draw of lots was held and since the petitioners were not successful in the draw of lots, they were not entitled under clause 4 (b) of the policy to be allocated 150 seats in the ensuing Year Without Qurrah if they remain qualified as private tour operators. The court noted that in view of certain changes in the policy of the Saudi government, the number of seats to be allocated for 2016 would have been 50. On April 29, 2016, the Ministry of External Affairs published the norms for registration of private tour operators for Hajj 2016 which provided that persons like the petitioners who had qualified for the year 2015, but were not successful in the draw of lots, would have the benefit of exemption of certain terms and conditions of the policy, including proof of payment, copies of registration certificate, contract for hiring of buildings for pilgrims, copy of relevant Hajj visa pages etc. Despite this exemption, the petitioners received identical rejection letters in July 2016. The Supreme Court noted that the reason cited for disqualification in 2016 was non-compliance of the very clauses of which exemption had been granted to the petitioners. The court rejected the argument of Additional Solicitor General that the reasons were wrongly communicated in the rejection letter and that there were some other reasons for the rejection. The court’s attention was drawn to the constitution bench judgment of the Supreme Court in Mohinder Singh Gill and another vs the Chief Election Commissioner, New Delhi, to hold that when a statutory body makes an order based on certain grounds, its validity must be judged by the reasons so mentioned and cannot be supplemented by fresh reasons in the shape of affidavit or otherwise. The court, therefore, quashed the letters of rejection sent to the petitioners. “The passage of time has made certain reliefs infructuous. The time period for conducting Hajj tours for 2016 as well as 2017 is over. Thus, even the alternative relief prayed for 2017 has become infructuous,” said the bench. Noting that three of the writ petitions had made a specific alternative plea for compensation to the petitioner, it extended the relief to all seven petitioners. “The petitioners cannot be left remediless. The mindless action of the respondents in rejecting the eligibility of the petitioners for the year 2016 on the very ground on which they were exempted necessitates that the petitioners should be entitled to damages in public law so that they are compensated at least to some extent for not having been able to carry on with your business on account of a legal action of the respondents,” it said. “In the facts of the present case, the arbitrariness and illegality of the action of the authority is writ large. The petitioners have been deprived of the right to secure the quota on a patently wrongful order passed for reasons which did not apply to them and for conditions which had been specifically exempted. What could be a greater arbitrariness and illegality? Where there is such patent arbitrariness and illegality there is a consequent violation of principles enshrined under Article 14 of the Constitution of India. “On the conspectus of the facts including the number of pilgrims from whom the petitioners would have been entitled to arrange the Hajj pilgrimage, an amount of Rs 5 lakh per petitioner would be adequate compensation for the loss suffered by them and subserve the ends of justice. We are conscious of the fact that there is no quantification based on actual loss but then the award by us is in the nature of damages in public law,” it ordered.